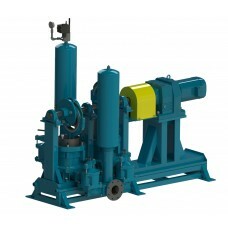 Severe duty raw sewage and sludge pumps. 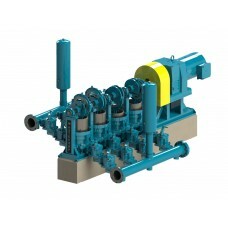 Designed for municipal or industrial sewage pumping. 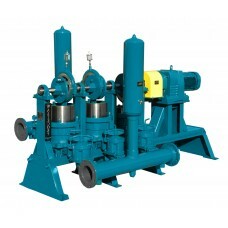 Plunger pumps are known for their long service life. Sludge Master HPE Series plunger pumps are designed to meet the needs of the higher capacity wastewater treatment plants with operating capacities to 600 GPM and heads to 240 feet. 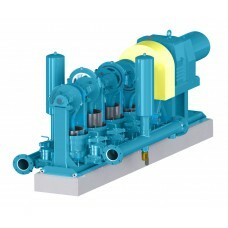 HPE Series pumps are similar to our PE units but incorporate heavier drive components, larger shafts and heavy duty connecting rod assemblies. From primary sewage treatment to digester transfer, belt filter press feed pumps and more you get the original sludge fighting power in your arsenal. The world’s largest wastewater treatment facilities trust HPE Series heavy duty plunger pumps to pump the millions of gallons of raw sewage and wastewater critical to public sanitation and overall best practices for sewage transfer. 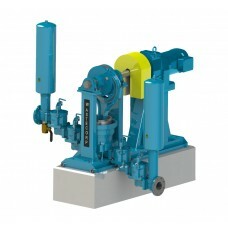 Pump municipal sludge up to 370 GPM at up to 240 ft of head with the Sludge Master HPE-944. Manufact..
Sludge Master HPE 1141 primary sewage pumps are ideal for belt filter press feed applications and di..
Sludge Master HPE 11" Quadruplex plunger pumps can pump up to 556 GPM. Designed for municipal sewage..